When entrepreneurial zeal, vision, creativity, risk taking, and accountability are infused into an organization, everyone is responsible for growth. The impetus for growth doesn’t always come from the top. In smart organizations, people know that innovation can start and spread from anywhere – the top, bottom, or middle of an organization. Business growth starts and ends with people. Success depends on the will and skill of people at every level of an organization. 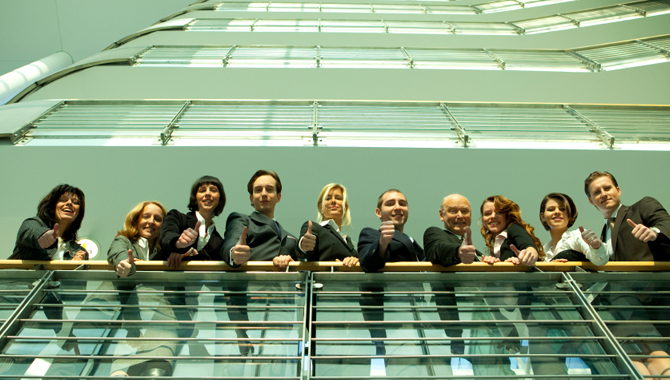 Business excellence isn’t just something that senior executives know about and understand. Sure, sometimes growth efforts start at the top, but it’s impossible to sustain growth without the zeal, efforts, and imagination of people throughout the organization. Too many organizations stumble because they devote too little effort to helping people combine their talents, to developing the skills of the people they hire, and to providing incentives for team players. They ignore the fact that weaving together people with diverse knowledge and skills is required for team and organizational effectiveness. Hiring the right people is crucial for propelling growth, but it isn’t enough to collect a lot of talented people and hope they can figure out how to work well together. Having talented and motivated employees doesn’t mean that exceptional performance will follow. Even the best talent requires nurturing, mentoring, and training. There must be a deep devotion to growing and grooming your people. By shunning shortcuts when it comes to developing the people who will power your expansion, you will infuse the business with the will, skill, and spirit to move your business forward. Business growth depends on bringing in the right talent and having people who feel compelled to act in the organization’s best interests – and who move one another to act that way too. Every organization that aims to have continuous growth needs both talent and accountability. Just talent or accountability alone isn’t enough: without healthy doses of both, you’ll never have a great organization. Continuous growth companies have an unwavering commitment to putting talented people in every position who take personal ownership for doing great work that helps the company, not just themselves. The result is an organization full of people who all feel compelled to do great work and help everyone around them do great work too. When a business is full of people who all feel accountable to their colleagues and customers, they feel obligated to give their best effort and make personal sacrifices for the greater good. Shared accountability turns people’s attention toward concerns that are bigger than themselves, ties the organization together, and it’s infectious. But accountability cannot be mandated. People wake up every day and decide whether they will give it or not. Even when you hire the right people, the experiences and training you provide are crucial for spreading the beliefs and behaviors that create accountability. The bottom line: people make the business and the business makes the people. 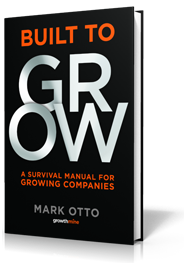 Are you as devoted to growing your people as you are to growing your business?